Secreto Lounge is best known as Santa Fe's most celebrated cocktail lounge, offering craft cocktail made from garden-fresh ingredients. Along with the local popularity, Secreto’s drinks and mixologists have found fame in over 100 magazines. The lounge is open Monday through Thursday from 4:00pm to 12:00am, Fridays and Saturdays from 12:00pm to 12:00am, and Sundays from 12:00pm to 10:00pm. The restaurant's happy hour is from Monday to Friday between 4:00pm and 7:00pm. · Agave Way - The first classic of Secreto Lounge is made of black grapes, New Mexico green chili, Espolón Reposado Tequila, lime juice, and agave nectar. Food is served from Secreto's restaurant, Tabla de Los Santos. The menu offers baked goat cheese, house-made guacamole dip, Salsa Fresca De Casa, house-made green chili hummus, roasted corn green chili chicken chowder, roasted artichoke and tomato soup, tempura flash-fried calamari, white truffle grana Parmesan fries, mac n’ cheese lollipops, salads, prawns de los Santos, pan-seared sea scallop, and more. Secreto Lounge also offers a special nightly event called the Service Industry Night every Wednesday. This event is a special homage night that is dedicated to those who work in the hospitality industry. 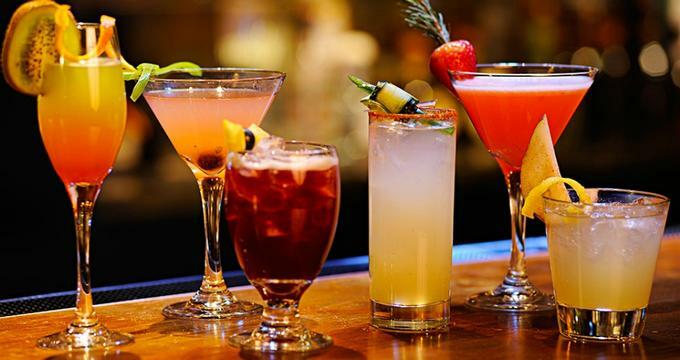 Wednesday nights at Secreto’s provides specials drink, food, and a social atmosphere for all those who serve and are never served. The Secreto Lounge is strategically located at the corner of Don Gaspar and Water Street just a block away from the historic Santa Fe Plaza. The 400-year-old plaza is considered the central part of the city as it is located in the heart of downtown Santa Fe. The vicinity is a happening place that hosts numerous Native American and Spanish markets along with several annual events and concerts.